In a Fifth Avenue apartment high above Central Park, a weathy art dealer and his wife are trying to interest a moneyed friend in a $2 million investment when an unexpected young guest arrives - and changes their lives forever. Performed by a full cast starring Alan Alda, Swoosie Kurtz, and Chuma Hunter-Gault. I loved the actress who played Ouisa and Laul was absolutely amazing too. I much prefer this Paul to the one in the movie. I imagine him with dreadlocks. The play itself is very profpund and perfectly written. 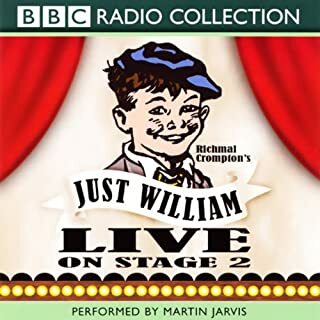 Martin Jarvis performs two full-length William stories, "The Lost Tourist" and "The Leopard Hunter", recorded live on stage at the Cheltenham Festival in 2003. Described by the Daily Telegraph as "the wizard of the talking book", Martin Jarvis has made the voices of William and his gang of outlaws his own. Was my joy during illness and saved me from depression. Please, make more William audiobooks.